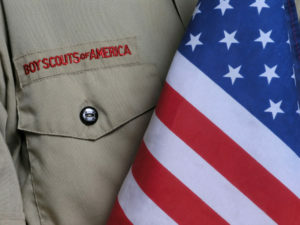 The Boy Scout Law: Positive Characteristics to Show in Business as Adults | Clator Butler – Internet Security Consultant. Musician. Fan Editor. Scouter. Polymath. Everything I’ve learned about being successful in business I learned by applying the 12 points of the Boy Scout Law. A Scout is Trustworthy: When you commit to getting something done for your team, your colleague or your boss, make sure you honor that commitment. Customers always appreciate honesty so be open and transparent with the bad news as well as the good news. And when somebody brings something to you in confidence, honor that trust they’ve placed in you. If you can keep that trust, you will earn their respect. If you break it, you will lose it. A Scout is Loyal: We live in an era of revolving-door jobs. But remember, your loyalty to your employer by sticking with them and sticking up for them pays dividends down the road. This is a two-way street though. Employers should be equally loyal to their employees, understanding that they are not just cogs in a machine but people whose responsibilities extend beyond the workplace. Many are spouses and parents. We have civic commitments to our houses of worship, charities, and communities. We have lawns, cars to keep up, and a need to find joyful pursuits outside of work. When both Employers and Employees have that respect for one another, that develops a symbiotic partnership that breeds long-term loyalty. A Scout is Helpful: Simply put, the work you do needs to help somebody else. Whether it is a good or a service, whether it is customer-facing or internal support, each one of us should help make each other’s lives easier in everything we do. If it only helps ourselves, that by definition is work done in vain. A Scout is Friendly: Helpfulness alone doesn’t cut it; attitude is essential. Dimensional Research and Zendesk published a study in 2013 about the positive effects of good customer service and detrimental effects of bad customer service to business. This doesn’t just apply to people in the Customer Service field; if each of us is being helpful to somebody else in some fashion, our attitudes as we interact make a difference in the general mood of our teams and companies as well our external business dealings. Mood is contagious. Make it a good mood. A Scout is Courteous: It’s not just about saying please and thank you. Respect other’s time. Ask others about their availability before assuming their time is yours to take and for heaven’s sake, USE online calendar functionality when scheduling meetings. Plan ahead, and never let procrastination on your part constitute an emergency on somebody else’s part. A Scout is Kind: Face it, business can be ruthless. In many cases, winning a customers business is a zero-sum game with your competition. How you approach this during the sales cycle and how you handle winning and losing afterward is an opportunity to show kindness. The person who shows kindness, patience and understanding will be more successful in landing future work. More importantly, the kind person will show a business culture where people will want to work, and feed success on all these other points. A Scout is Obedient: When you’re given a job to do, do it. Do it promptly, accurately, to the best of your ability, and without complaint (so long as it’s ethical and legal — be obedient to the law first and foremost). The military culture understands this perfectly. But some new businesses show a tendency to rebel against authority, making a virtue out of being iconoclastic. While this may look cool to the outside, it frequently serves the moment at the expense of the future. If there is something you don’t like about a policy or a task, treat it as the law by following it, but working to change it for the better from within, positively and constructively. A Scout is Cheerful: Depression is rampant in our country, yet nobody likes being around negative, angry, sourpuss people. They’re seen as a drain on our energy and a detriment to growing business. But ask: Is a dour attitude confined to one person, or symptomatic of the workforce? If you have one of these people in your employ, try to figure out why they’re miserable. Is it a matter of unrealistic expectations on their part, or unfavorable conditions in the environment? And if you ARE one of these people, seek counseling. It may be medical, or it may be that you’re in the wrong job. If you’re not cheerful by nature, try to show cheerfulness and that can actually change your attitude. Just don’t let it be a mask you wear for the long term. Seek solutions to undo your misery and find something in life that does bring you joy, and focus on that. A Scout is Thrifty: In your personal life, do not live beyond your means. Learn to be happy with your current financial station while you strive to improve it. Contrary to what Madison Avenue would have you believe, you don’t deserve to have it all, and get it right now. Planning is more effective than living a dream you can’t afford. We’ve seen enough credit crises and burst bubbles in our economy to understand that a measured, thoughtful approach to gain will net you long term results — and protect you from when things don’t go according to plan. Lastly, for those of you with expense accounts, don’t max them out just because you can. You are a steward of your company’s resources just as you are a steward of your own resources. (And if you’re really paying attention, you’ll know that they’re nobody’s resources in the end but God’s. But we’ll save that for the final point). A Scout is Brave: It’s been said before, no great feat was accomplished because it was easy. Big chances do not come often, so put yourself in a position to accept them when they do, and tackle them wholeheartedly. Be willing to step out of your comfort zone and get others to go there with you. But never confuse bravery with foolishness. Know your strengths and weaknesses, play to the former, and push them to new levels of excellence. A Scout is Clean: Not just in body, but in mind. Much can be said about our increasingly casual workplace where flip flops and board shorts are seen as hip and trendy, and where S-words and F-bombs are routinely dropped in board meetings and water cooler conversations. Catch yourself before going too far and remember, how you look and how you speak is the most representative indication of who you are and what you value. These tell others what they can expect by working with you. Ask yourself daily if you are representing yourself as the best version of you that you can be. A Scout is Reverent: Be thankful for your talents and resources, because they are a gift. Not everybody has a connection with The Almighty. Most do. (Pew Research pegs 84% of the world affiliated with some religion). Whatever you believe, virtually everybody has a different, unique relationship to The Divine. Respect that. Respect others’ needs for reflection and introspection into what this most personal character trait means in their business interactions with one another. Respect how this part of their character will come through in who they are and shouldn’t be repressed but allowed to come forth. In so doing, you’ll see who that person truly is, in all of their complexity, and you’ll know who you want to work with for the long term. In closing, remember that behavior is a function of the individual in his/her environment. Model the behavior you want to see in others. Find those good characteristics you want to bring out of yourself. Focus on them, let them be a reflection of what’s inside of you, and others will emulate.